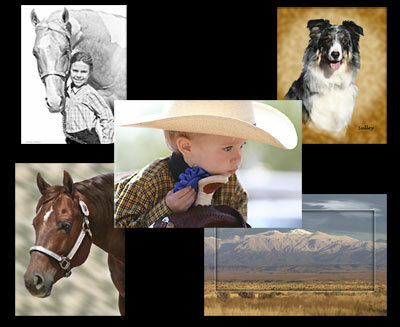 RRR Imaging Photography Overview: Equine and HOA Web design, equine photography and graphic arts. We offer excellence in • Digital photography • Ad design and layout • Post card design • Business Card Design • Logo design • Digital photo retouching • Website design and hosting • and many more options to promote and enjoy your equine lifestyle. Equine photography is a very specialized field. There is a certain amount of time and attention to detail that is required to get pleasing photographs of horses. As horse owners ourselves we understand how much time and money is invested in our equine companions and we care that your photographs show your horse to his/her maximum potential. Since we specialize in equine photography this allows us to dedicate our time and attention toward our friends in the horse community. We encourage you to use a photographer that is experienced in equine photography to get the best results for your horse. We need your help to get the best possible pictures of your horse. Please have the horse well groomed and clipped and looking like he/she is ready to go into the show pen. It is a good idea to have at least 2 handlers for the horse. The pictures are always better when the horse is well mannered and easy to handle. We will need you to be able to place the horse’s feet in certain positions to create the most favorable conformation for your horse. Thank you for your interest in our digital photography. Visit our gallery for samples of our work.